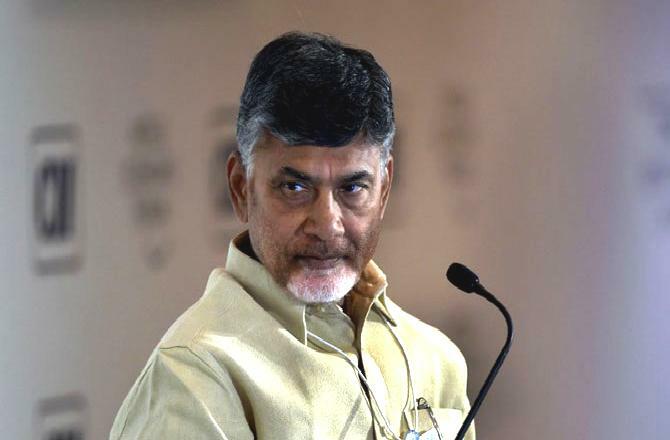 Andhra Pradesh Chief Minister and TDP President N. Chandrababu Naidu on Saturday alleged that Prime Minister Narendra Modi spoke with arrogance during the debate on no-confidence motion in Lok Sabha. Naidu, whose party had moved the no-confidence motion against the NDA government, said that Modi spoke as if Andhra Pradesh was not part of India. “His arrogance was because he had the numbers,” said Naidu while terming the no-confidence motion as a fight between majority and morality. The Telugu Desam Party (TDP) chief was talking to reporters after the defeat of the motion in the Parliament. Naidu alleged that the prime minister also spoke alightly’ and acheaply’. “By stating that I took u-turn he launched a political counter attack,” said Naidu. On Modi’s comments that he had warned him that he was falling in the trap of YSR Congress, the TDP leader said the Prime Minister was doing injustice to the state for political mileage and resorting to blackmail. “It is unbecoming of a person holding the position of the Prime Minister to say such things,” he said. The Chief Minister said the Prime Minister’s reply disappointed five crore people of the state and the entire country as they had hoped that he will show some repentance over no fulfilling the promises made to the state and correct his mistakes. Naidu also took strong exception to Modi’s remark that he was picking up fight with Telangana and recalled that even before bifurcation of Andhra Pradesh he had been calling for an amicable solution through talks. Stating that Andhra Pradesh has been cheated again, Naidu appealed to people to stage protest demonstrations on Saturday. NTR will pay grand tribute to Nandamuri fans!